My timeline was filled with Wakanda Forever calls, images of arms crossed across chests, beautiful wardrobe pieces in traditional African prints, and plans to sell out movie theatres…. And I wondered (and posted on my facebook page) …. So, did anyone buy Disney stock in lieu of / or in addition to going to see Black Panther? Possibly not the greatest way to make friends and influence people. There was a time when you could only buy shares of stock in 100 unit blocks. This was a deterrent for the middle class and low-income folks. Also, there was a time when Black people needed to have a white friend pose as the purchaser of stock because, well… the stockbrokers were racist. Now, these roadblocks are gone! You can purchase $15 worth of stock, the same price as the cost of a movie ticket, and do that once a month to begin to build wealth. 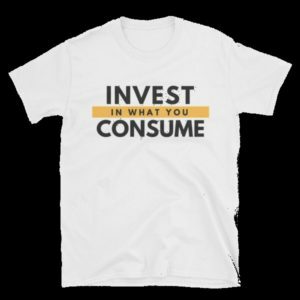 While the rhetoric of everybody isn’t able to invest is true, some of us just need to look at the opportunities in front of us differently and invest over consume. Or you and 10 friends can pull together $100 each and purchase $1000 worth of stock. Without first looking at, what are you paying for that entire Wakanda outfit and outing? No judgment, but yes judgment. How to get it, how to keep it and how to pass it along to the people and organizations we care about.